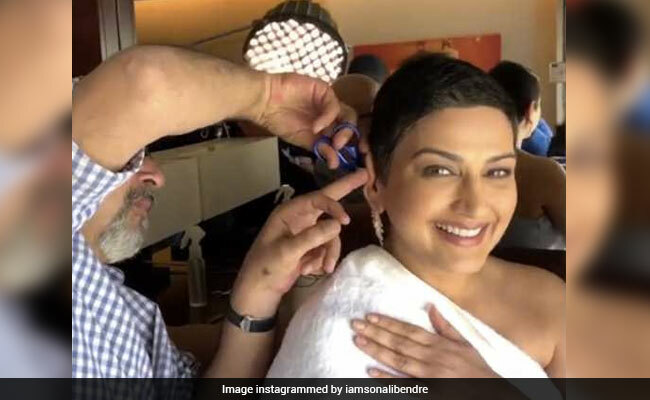 Actress Sonali Bendre, who gracefully adapted to the cosmetic changes post-cancer treatment, shared a video of herself getting her hair trimmed for a photoshoot and she wrote that she "couldn't stop smiling." Sonali, who went bald after her treatment for cancer started last year, wrote: "Took me a while to get used to having little hair. But once that set in, there was no looking back (literally!) 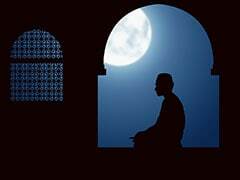 It has been months since I've even needed a 'trim'. So, during (a photoshoot) when Mickey Contractor (celebrated stylist and make-up artist) said that I needed one, my first thought was, "Really??". Before I could react, he was all set - armed with an eyebrow scissor, ready to go at it! I couldn't stop smiling. Never thought I'd get a makeover of sorts like this, but I guess it's my new normal." Sonali Bendre recently told Mumbai Mirror that at one point her 'whole life had been about her hair.' Speaking about how her long hair reportedly got her a role in K Ravi Shankar's 1994 film Aag, Sonali had said: "Now that I think of it, earlier, my whole life had been about my hair, even though it sounds superficial." Last month, Sonali Bendre trended big time when she covered a magazine issue sporting "an almost bald head and a huge scar." She wrote: "Of course I had my reservations, and, if I dare say, insecurities but... before I knew it, I was standing in front of the camera, ready to uncover my new reality... If there's a piece of advice I can give you all after this, it would be to 'Find your new normal'. It's very liberating."